The Facebook Virtual Reality subsidiary started its annual Oculus Connect developer conference with a keynote presentation featuring a several major announcements. 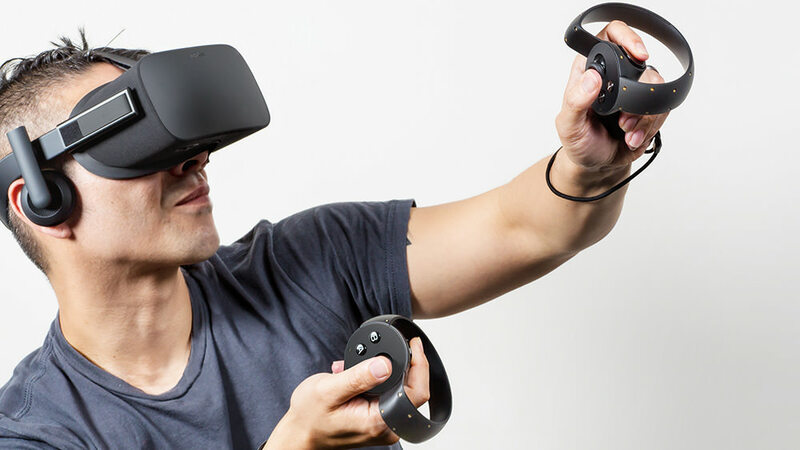 The company talked about its upcoming motion controllers, the Oculus Touch, but it also unveiled new technologies to lower the price for Virtual Reality and impressive social tools. The Oculus Touch controllers, compatible with Rift Virtual Reality headset, will release Dec 6 for $200. The Touch comes with a second Oculus camera sensor bar, that is necessary to set up to use the controls. The package also comes with two games: VR Sports and The Unspoken. Oculus Touch adds intuitive hand-tracking to Virtual Reality. The controller compromises of two parts — one for each paw — with the analog sticks, face buttons and triggers shared between them. A plastic band wraps around the bottom, and giving each pad a sleek, cuff-like look. Once you have slipped them on, you can just naturally control your avatar’s hands in Virtual Reality. Punching, waving, picking up objects — even basic finger gestures, such as a thumbs up or quick point. It certainly beats the bundled Xbox One controller — you will have to decide whether it is worth the extra cost, however.